This article highlights 21 ways on how to stand out in life and at work. The tips will help your star shine brighter and gain a competitive edge. You were born to stand out. There is only one of you. You are one of a kind. You are a Masterpiece. You have a unique purpose in life. You have something to offer the World. You have special abilities and you are special. Don’t be a copy. You are an original. You are a winner, keep moving forward towards your goals. Be yourself. Be courageous. Let your light shine for all to see. Don’t sell yourself short. Inspire others, empathize with others, share with others, make a mark in the World and offer others a helping hand and encourage them to let their star shine brightly. You can quickly skim all the 21 tips on the table of contents below and then click on any tip to read further details. Please enjoy reading. Thank you. Standing out begins by having a good awareness of who you are as a person. It starts from the basics such as knowing what makes you happy and what makes you sad, what you enjoy doing and what you don’t enjoy, what you are good at and what you aren’t good at. It also involves knowing your dominant skills, knowledge and abilities. On the other hand, knowing yourself entails having an understanding of your weaknesses and shortcomings and taking necessary steps to either learn more skills, improve yourself or work through and with others to help bring out the best in you. Become known as a person who does more than is expected. When you have a particular task to do, put in extra care and effort to accomplish it and then deliver an outstanding piece of work that not only makes you happy but also wows and satisfies the other person. Going the extra mile is hard work and it entails deliberately and consciously deciding to do more than is expected. Since few people work on deliberately putting in more effort than necessary, by going the extra mile you in essence increase your chances of standing out from others. The strength of your convictions can differentiate you from others. How strongly you believe that you can do something and succeed at it, and how you communicate your passions to others to inspire them to join you or follow you in accomplishing your vision is a factor that can separate you from the crowd. Believe strongly that you are capable of achieving what you plan to do. The end goal usually seems overwhelming because at the beginning it is not clear which path we should take and how we will get from here to there, hence the importance of belief. It keeps you hanging in there as you go through your struggles and figure out the way forward. Taking risk is what differentiates the doers from the talkers. When you passionately believe in a specific course of action and you take a risk to pursue it that sets you apart from those who simply think and talk about doing something but don’t do anything about it. With risk comes the potential for failure or success. You can stand out from the crowd by being known as a person who carefully evaluates situations and opportunities and when you feel you have sufficient information to take a risk, you take action decisively and unwaveringly. There will always be room for a person who helps solve other people’s problems. A go-to person is someone people often turn to for advice, help and support. This is a person who has built a track record of solving issues through their knowledge, expertise or experience. Stand out by building your credibility as someone reliable, an expert who is excellent at producing high quality work. 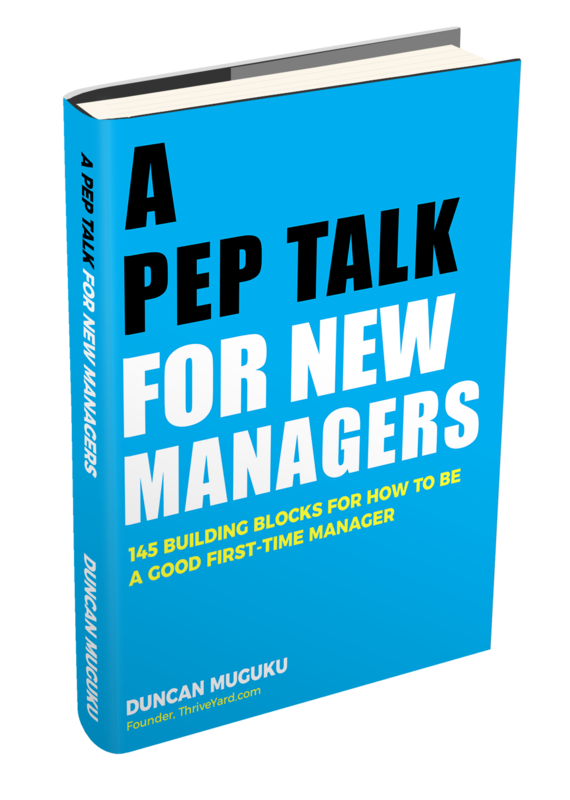 Be known for graciously helping others when they are in a fix and being available for quick informal consultations where you give colleagues actionable tips and feedback to resolve challenges. By being real, genuine and original you can definitely stand out. Being yourself is not as easy as it sounds. There is a lot of societal pressure to fit in and simply go with the flow. Authenticity begins by looking inward and identifying which personal values have the greatest meaning to you and choosing to live your life in ways that complement your values. It also entails embracing your shortcomings and living your life without letting your shortcomings hold you back. Stand out by helping others. When we make a genuine effort to support other people, we also benefit from the good feelings and happiness that we experience internally. When you have a chance and opportunity to serve others, do so wholeheartedly. Giving back to others in your own unique way could take different forms such as sharing of your knowledge, expertise, volunteering or monetary donations. It could even be as simple as listening to someone and offering a word of encouragement. Your attitude impacts both yourself and the people you interact with. Being Pleasant and adopting a positive attitude and outlook on life enables one to stand out and form stronger relationships with others. Benefits of a good attitude include having more energy to accomplish your tasks, more happiness; it develops your resilience in coping with everyday challenges and makes you friendlier. In addition, you appreciate the good things that happen to you and you are able to look for solutions more often rather than dwelling on shortcomings and problems. One way to stand out is by expressing yourself through your dressing style. You can go bold and vibrant or cool and understated, splash bright colors, and mix and match different elements to satisfy your soul as long you are keeping it classy and appropriate for the occasion. Your appearance sends a strong message to those around you about how you feel about yourself and how you want the world to view you. A differentiating factor in your personal brand is attention to details. It entails taking pride in ensuring that tasks you undertake are completed to the best of your ability and are presented in the highest quality that you can offer. In short, ooze both care and professionalism in all that you do. You can stand out both in life and at work by being someone who pays great attention to details. There is an old saying that ‘the devil is in the details.’ A keen eye for details can make or break a project. 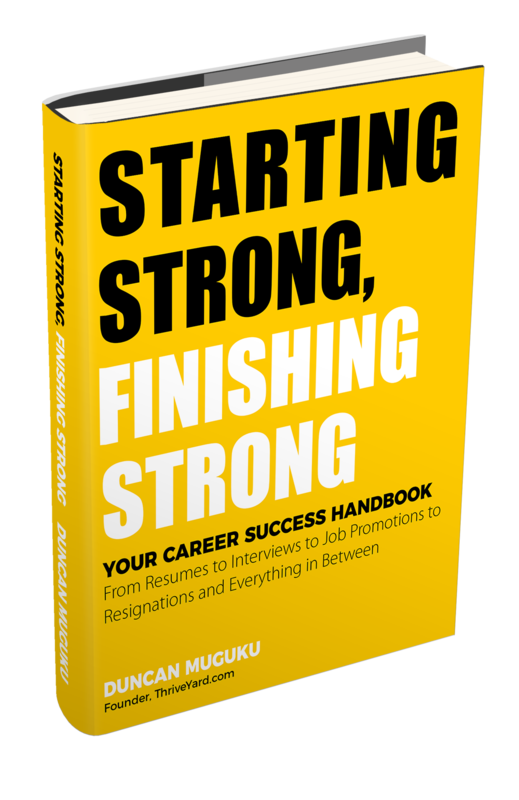 It can reduce costly re-work and save time by getting things done right on the first try. In a crowd where everything is the same and conformity and fitting in is the order of the day, you can stand out by being different. It is important to note that this doesn’t mean being dissimilar just for the sake of being different. Instead the focus should be on being true to yourself and attaining a higher level of divergence, uniqueness and independence in things such as the way you think, the way you talk, the way you take a stand on something, the way you dress, the way you do your work, the way you treat others well etc. A thought leader is someone who possesses strong and expert knowledge in a specific field and helps to shape and influence opinion. A thought leader stands out because people look up to them for their thoughts, ideas, views and advice. You can become a thought leader by developing a deep understanding of a specific area, topics or subjects that deeply interest you then be willing to share your knowledge with others, and answer people’s questions on your areas of expertise. A person who is imaginative and comes up with original and unique ideas is likely to stand out. In work settings the creative mind will be in high demand in brainstorming sessions to figure out new solutions, new products, and new ways of doing things. The simplest way to inspire your creativity is to ask yourself questions about why things are the way they are and how can things be done differently. 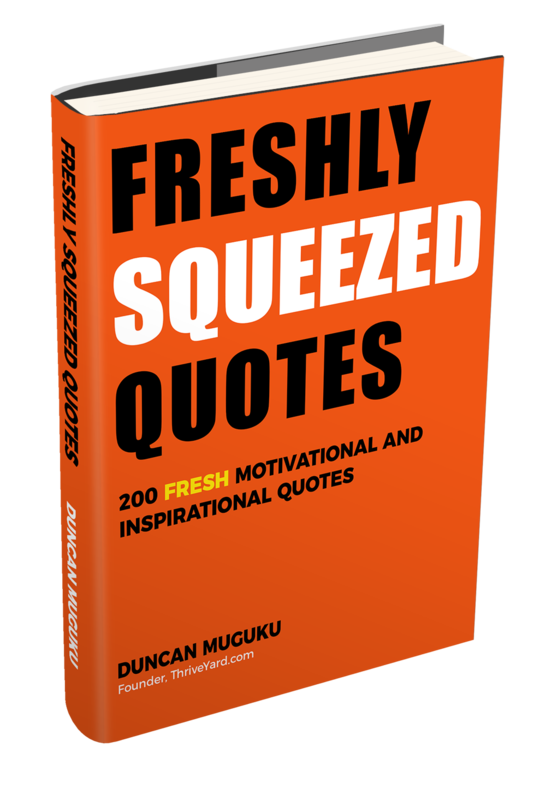 This will help to stimulate different ideas and perspectives which can be further defined, refined or discarded and then you keep repeating the questioning process over and over again. Ideas are further improved when you share them with others who will add more insights to improve the final result. You can stand out by mastering the art of speaking well. This entails mastering a few techniques such as how to start conversations, small talk, asking questions, pacing yourself so that you are not speaking too fast or too slow, varying your voice to avoid speaking in monotones, using nonverbal communication appropriately, being polite, and knowing when and where to insert pauses as you talk. A key element to speaking well includes listening well. Listen attentively to the other party or parties and show interest through nonverbal cues such as nodding your head, smiling and making eye contact. Part of the art of speaking well includes knowing how to tactfully and respectfully end a conversation. Having confidence is a sure-fire way of standing out in both your personal and professional life. People admire and are attracted to confident people. Self-confident people carry themselves with an air of composure, self-assurance and assertiveness. One way to build confidence is to set goals for yourself and as you accomplish your goals your confidence level rises. Humor is an antidote for coping with life’s challenges and stresses. People like a bit of humor every now and then. You can stand out by being a person who has a great sense of tasteful humor, a person who sprinkles fun and laughter into conversations and isn’t afraid to laugh at himself or herself. A unique way to stand out both in life and at work is by learning new languages. Being bilingual or multilingual gives you an extra edge. It helps you to connect with many people at a deeper level. It also makes one more marketable. The simplest things in life can make the biggest difference. Stand out by being a person who always says thank you and takes time to appreciate others. Kindness does not cost anything yet it goes a long way to improve both our lives and those of others. It sounds great to hear our names being called yet it can be a challenge to remember people’s names especially the first time when you meet someone. Forgetting people’s names or calling people the wrong name are two things that most people would like to avoid as much as possible. You can stand out and connect with others by making a deliberate effort to listen keenly and remember people’s names each time you meet them. Deliberately repeat the name in your mind and use the name once or twice in a sentence when talking to the other person. Identify which big dream you want to achieve in your life then breakdown the dream into small manageable tasks which you can complete one step at a time. Over time the small steps will gradually add up and push you closer to your big dream. Patience is critical during the journey towards achieving your big dream. You can inspire others by sharing with them your visions of a better and brighter future. One way to stand out in life is by becoming a person who always strives to get better and better every day. Take a hard look at areas of your life where you feel you can do better and identify ways to make incremental changes. Give yourself personal targets such as I will learn two new skills every year or I will read a relevant book every month or watch an uplifting online video every week. Stand out at work by actively working on improving your skills, knowledge and abilities. This can be accomplished through deliberately taking advantage of on the job training, offsite training, free online courses, reading books, watching educational videos, and learning from your colleagues. 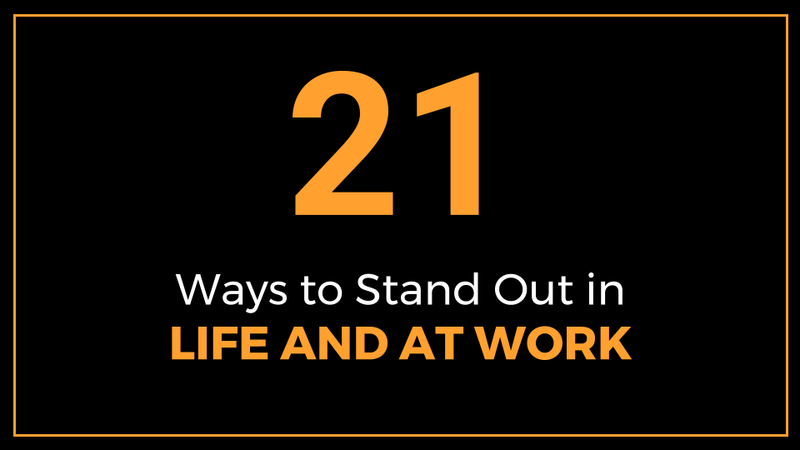 This article highlights 21 ways on how to stand out in life and at work. The tips will help your star shine brighter and give you a competitive edge. Tips include knowing yourself, being a second mile person, believing in yourself, taking calculated risks, being a thought leader, being creative and attention to detail.